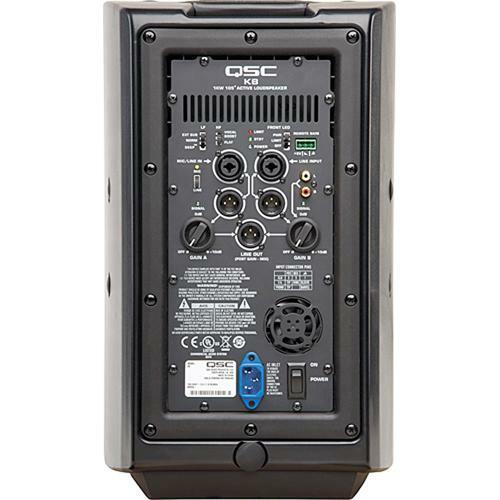 QSC K8 8" 2-WAY 1000-Watts Powered Speaker DJParts - All Variety of Parts that DJ Needs. DMT™ (Directivity Matched Transition) provides for matched LF and HF coverage across the entire listening area, eliminating unnatural "dead" or "hot" frequency zones. Intrinsic Correction™, first featured in our high-end line-array products maps 65-75 spacially-averaged measurements to IIR and FIR filters that actively adjust time, frequency and amplitude response to a maximally flat bandpass target. 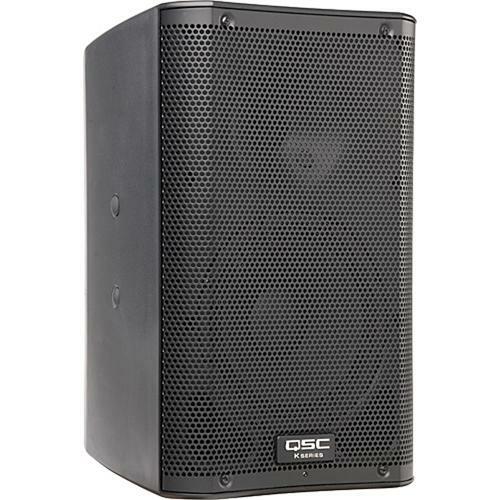 The result is a speaker that behaves equally well across the entire sound field. DEEP™ and excursion limiting allow for extended low-frequency response by actively managing low-frequency transients without degradation of the underlying signal or adjacent frequencies.